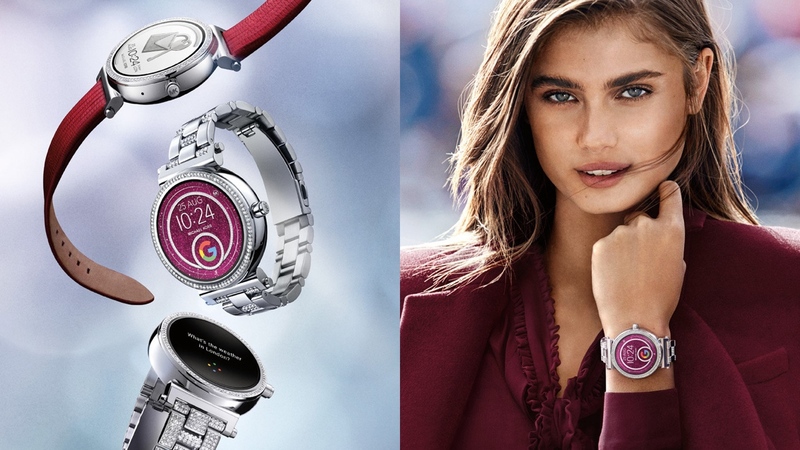 The latest Michael Kors Android Wear smartwatches are now available to plant on your wrist. The 2017 collection is made up of the Michael Kors Access Sofie, for women, and the Michael Kors Access Grayson, aimed at men. 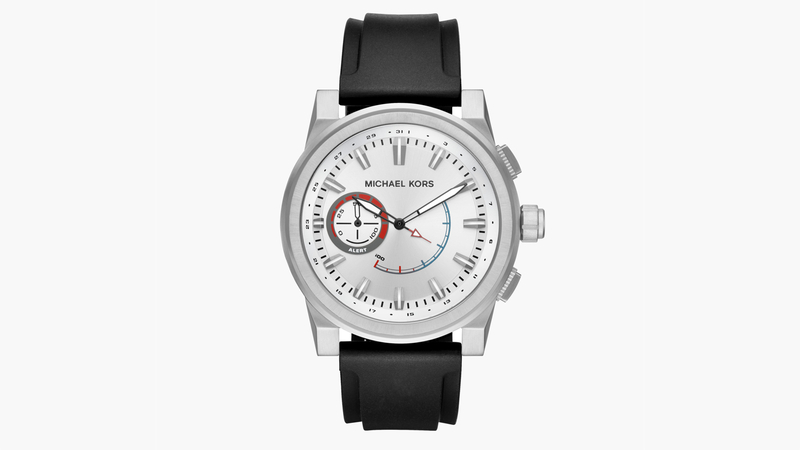 Both are available now on the Michael Kors website, but you'll have to be prepared to shell out some significant cash. The Access Sofie will start at $350 and rise to $395 for those looking to pick up a finish with pavé body and strap. For US buyers, that particular design will be available in gold, while UK punters will have to make do with the silver equivalent, with the gold option not on the table. It's also worth noting that although Sofie is now available in some styles for those in the US, others are only available for pre-order ahead of release on 23 September. Things are less complicated with the Grayson, meanwhile, with all styles setting you back a flat $350. 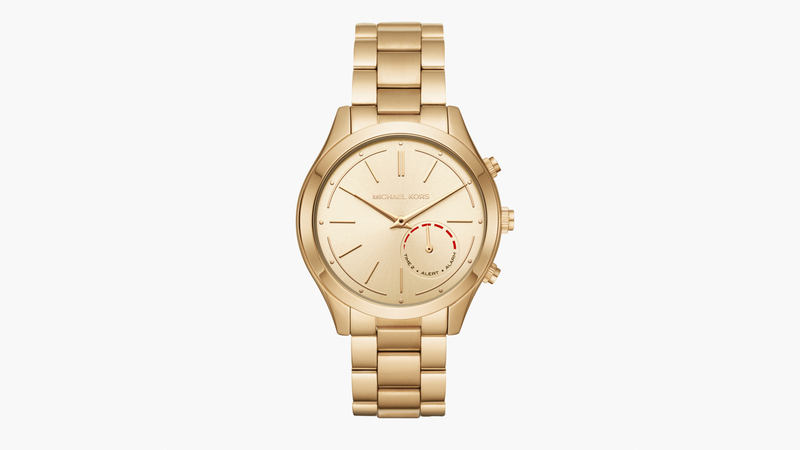 Now, the Access Sofie is a daintier style than last year's boyfriend watch Access Bradshaw. 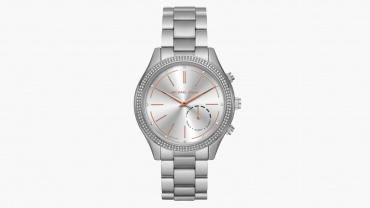 It has a pavé embellished bezel, comes in silver, gold, rose gold and sable-tone finishes with no big, bulky lugs and what Michael Kors is calling a sleeker and slimmer watch body. We still don't know some exact specs, including the precise dimensions, but it's a 42mm watch with a fully round AMOLED display, a body that's water resistant up to 1 ATM and a clasp fastening. 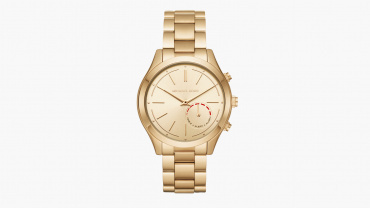 On the Michael Kors watches, the designer's additions include a selection of pretty watch faces as well as a branded micro-app called My Social which lets users hook up their Instagram account to customise watch faces with snaps from their Insta feed. The Access Grayson, meanwhile, is a more familiar prospect - it's an all metal watch body aimed at "the man on the go" and with what Michael Kors is calling an "oversized" screen. Both watches will have additional interchangeable straps too. As you can see from the pics, the Access watches now, thankfully, come with a fully round screen so no unsightly flat tyre as on previous collections. We have no official resolution yet but we're promised higher res screens than last year across the whole range. Both smartwatches are part of the new batch of Fossil Group wearables and will arrive running Android Wear 2.0. This new batch includes (deep breath) the Fossil Q Venture and Q Explorer, the Diesel On Full Guard, the Emporio Armani Connected and the Misfit Vapor. The pair of new Michael Kors smartwatches are arriving earlier than expected as they were initially slated to hit shops in 'Holiday 2017' i.e the end of the year. 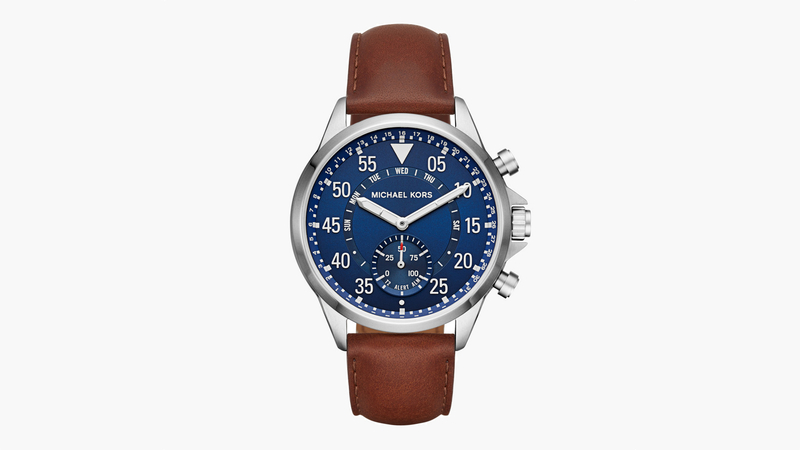 As for the hybrid watches, which use a analogue watch face and hidden tech, Michael Kors has a new range of styles and colours for men and women including the Gage, pictured. 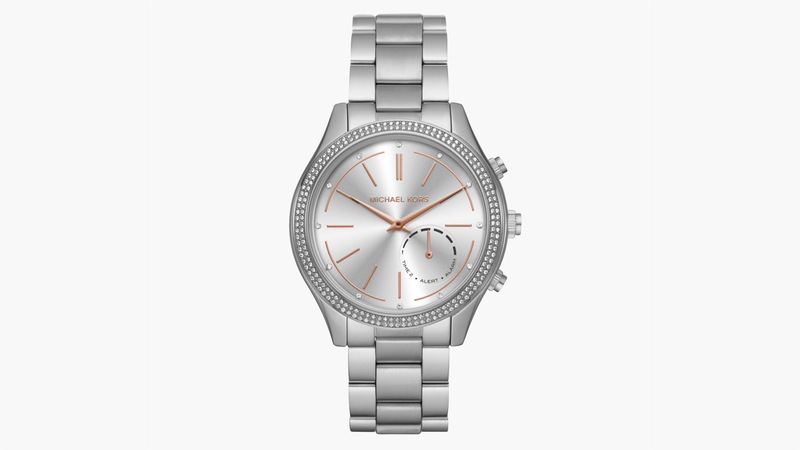 The new women's hybrid smartwatches, from the Slim Runway collection, and the men's Gage hybrids are all available, with prices ranging from $250 to $295. The watches handle activity tracking, alerts and have pusher buttons on the side which can handle remote selfies and control music.